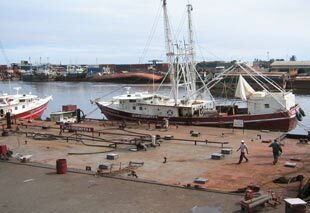 A fully computerized reporting system allows the Fleet Manager to monitor production from the different fishing grounds in an effort to maintain an optimal balance between ocean stocks and fishing results. The ASL fleet does take care, by use of turtle avoidance and escape systems, and by strictly adhering to mesh sizes appropriate to catch large (adult) shrimp, to avoid unnecessary by-catch of small fish, turtles and marine mammals. 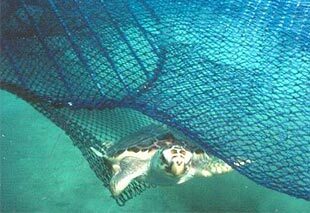 All our nets are fitted with By-catch Reduction Devices (BRD). The ASL fleet is certified by the US Department of State, to export shrimps to the USA, since the shrimps are caught turtle-friendly, using Turtle Excluder Devices (TED). ASL is a responsible employer, dedicated to the well being of its employees. All employees receive a pension, health care benefits and free life insurance is provided to staff members. All Nigerian laws and requirements as to employment and safety at work are being adhered to or improved wherever possible. ASL has helped in generating employment directly for 1,300 persons and indirectly for 5,000 people in Nigeria. The local supply of fish proteins to the Nigerian market for a reasonable price is making the country less dependant on the import of fish. Black Tiger Prawns (Peneaus monodon) fished trawling in FAO area 34 by Atlantic Shrimpers Ltd are in conformity with the Friend of the Sea Criteria for Sustainable Fisheries.